Although I have discussed analytics and ROI in previous posts, I remain passionate about this topic, especially as I watch analytics being used more and more to transform businesses and give them a stronger competitive advantage. Progressively organisations are realising the value that analytics actually can deliver, and the advantages it can really bring. 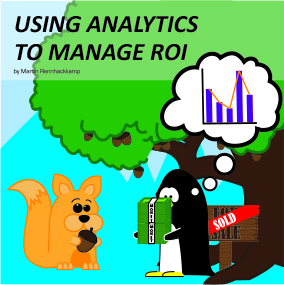 So in this post I explore how analytics can be used to manage and improve the ROI on other business initiatives. We often see debates about the ROI on BI initiatives themselves, and questions about the value that analytics delivers to the organisation. 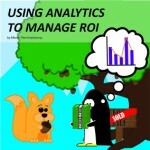 But let’s look at the role analytics play in the management of the ROI of other business initiatives. This really excites me! I recently came across an interesting piece that highlighted the benefit of analytics in the field of marketing, which got my attention, given that most organisations will not be happy to merely increase their marketing budget if they do not see a clear return on investment arising from the increase. Without calculating and reporting any analytics on the revenues and costs related to an initiative, an organisation cannot be able to distinguish what is working and what isn’t, nor the reasons ‘why’behind this. Furthermore, if the organisation cannot establish this base of information, how are they going to improve that area of the business to remain profitable? This alone makes for a solid case for analytics. Properly applied, analytics allows the business to really get a good look inside its operations by analysing all the data that it collects – on business processes, efficiencies, finances, staff, products, marketing, sales and so on. And more importantly, by sorting and processing this data into relevant information, it can assist the decision makers in making the right business decisions. Presenting the information as measures that pertain to the business processes affected by the initiative, it can be analysed from all the dimensions applicable to those processes. It is this level of information that then allows an organisation to investigate if the initiative under question is having a positive or negative ROI outcome; and furthermore, if any similar future opportunities actually exist, and whether they should be pursued. So taking the marketing industry as an example, let me provide a more practical example of how analytics can be used to investigate whether there is, in fact, a benefit to the business. Measure and analyse the effectiveness of advertising channels. Decide which channels are more beneficial than others. Identify where and how to focus advertising and promotional spend in these channels. Taking this to the next level, analytics can also provide the advertising and sales departments with key insights into their customers, based on their buying behaviours –which in itself, feeds directly into the messaging, tone and approach for adverts and sales. In fact, through advertising and sales analytics businesses can learn which adverts get the most click-throughs and, even more importantly, what type of customer this click through resulted in. So these analytical investigations will show whether there is a positive or negative ROI on those particular adverts and channels. While the above is a basic example –it demonstrates how by applying analytics, the businesses benefit –the viability of a given initiative – can be judged and managed based on its expected and realised ROI. This gives decision makers the information they need to make crucial decisions about the application and potential success of that initiative. However, that is still analytics applied to a “blanket” population. With even smarter application, the analytics can be applied to the individual customer. So instead of widely advertising specials, and have them taken up by maybe not such profitable customers, organisations can now analyse the buying bahaviours of individual customers, and propose advertising offers tailored to their relative value and perceived interests. Not only will this be better for the customers – they receive more targeted and appropriate offers, showing the organisation has a personalised interest in them – but it also enables the organisation to manage its offers to stay within the limits of profitability per each individual client. Now organisations have to evaluate the ROI on these type of offers very carefully. It doesn’t help to offer an existing client a special on something he or she would have bought anyway – then you are just giving revenue away – and that does not result in a good ROI. You have to ensure that you are applying a cross-selling propensity model, where you offer him or her something they may have bought from your opposition, or may not have bought at all if it wasn’t for the special offer. Then you are increasing your share of wallet – which translates to a positive ROI, even if the item or service was offered at a discounted price. Applying analytics in this manner is a very strong and very direct approach to ensure that the expected ROI on marketing, advertising and promotional initiatives are closely met and managed. The topic of analytics will no doubt dominate many fields of discussion – given the relevance to all businesses, no matter what industry they operate in. However, using it to analyse and report the potential gains, and corresponding reduction in unnecessary losses, will ensure that the expected ROI can be gained on such initiatives. But if we don’t obtain the data, and apply and report the ROI analytics, we will never have these particular insights to apply operationally, nor to base any decisions on.